Kassandra whirled to face the arrogant military man she’d hoped never to see again, remembering all too clearly his kisses that lingered like molten honey on her lips. To admit it was her innocence he’d stolen in a moment of blazing passion would ruin her father’s diplomatic career and forever destroy her reputation. Stefan nearly shouted in triumph. He’d searched throughout Vienna for the beguiling tavern wench who had aroused him past endurance, and here she stood like a shimmering goddess…no tavern wench but a lady of the Imperial court. 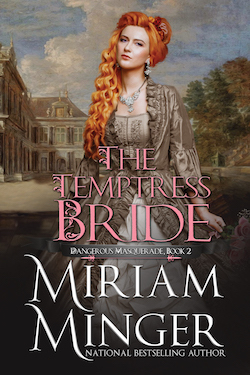 He must have her–he would have her–if only to safeguard her honor by making her his wife.